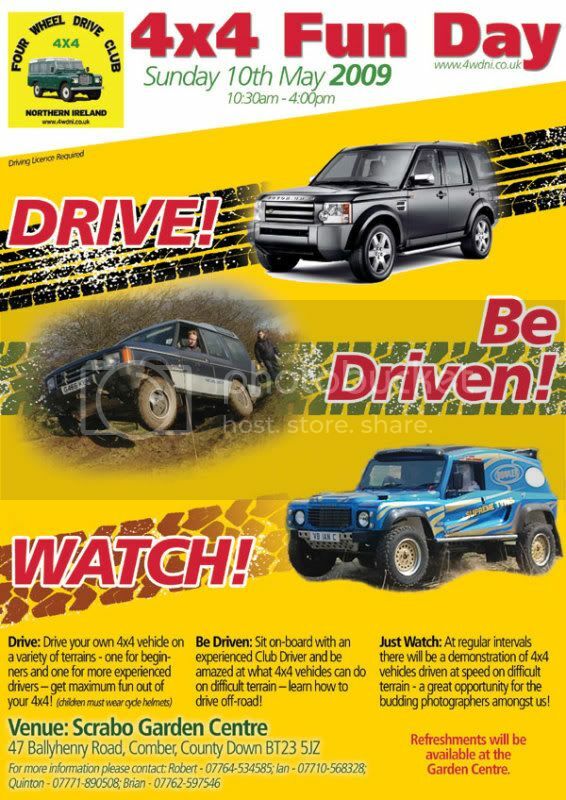 // Frontera Technical Support • View topic - 4WD Northern Ireland Club Fun Day 2009! A larger file version of this flyer for printing is available on request from myself. This is our 2nd annual fun day and if last year is anything to go by, this will be a most excellent day out. Print flyers and posters, tell your friends!